The neoliberalism that has dominated economic thinking since Mrs Thatcher and Ronald Reagan first came to power is now seen to have serious flaws, and ‘Progressive Capitalism’ seeks to replace it with a new Progressive political economy. This is based on an analysis of why the growth rates of countries differ, and what firms have to do to achieve competitive advantage in today’s global economy. The cornerstone of the political economy of Progressive Capitalism is a belief in capitalism. But it also incorporates the three defining beliefs of Progressive thinking. These are: the crucial role of institutions, the need for the state to be involved in their design to resolve conflicting interests, and the use of social justice as an important measure of a country’s economic performance. Social justice, defined as fairness, is used as a measure of performance in addition to the rate of economic growth and liberty. 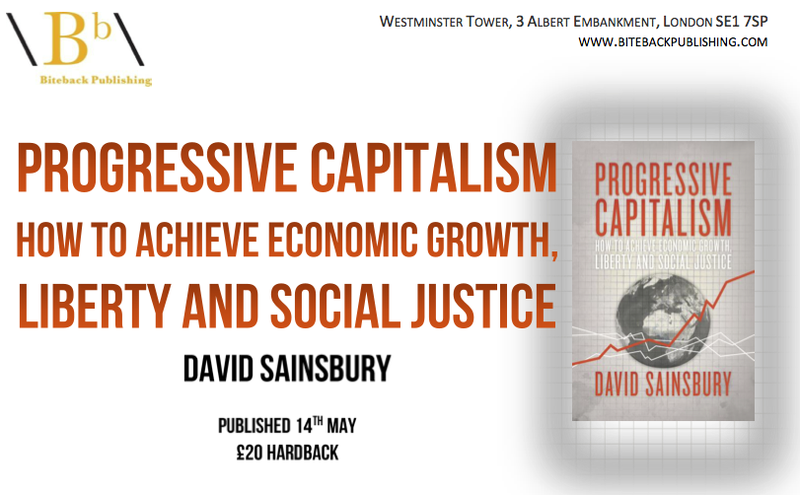 Progressive Capitalism shows how this new Progressive political economy can be used by politicians and policy- makers to produce a programme of economic reform for a country. It does this by analysing and proposing reforms for the UK’s equity markets, its system of corporate governance, its national system of innovation, and its education and training system. Finally, Progressive Capitalism describes the role the state should play in the economy, which it sees as an enabling one rather than the command-and-control role of traditional socialism or the minimalist role of neoliberalism. David Sainsbury was Finance Director of J. Sainsbury plc from 1973–1990, Deputy Chairman from 1988–1992, and Chairman from 1992–1998. He became Lord Sainsbury of Turville in October 1997 and served as Minister of Science and Innovation from July 1998 until November 2006. He is the Chancellor of the University of Cambridge and is available for interview.